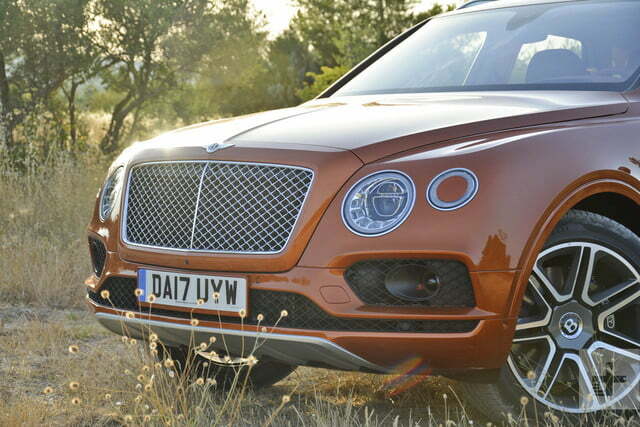 Rivals love to hate the Bentley Bentayga, but it's the most luxurious SUV money can buy. Luxury comes in many different shapes and sizes, but it’s never taken on a form like this. With the Bentayga, Bentley set out to create a new type of vehicle that takes the no-compromise strand of opulence it is famous for to the SUV segment. We spent a week living with the British company’s only high-riding model to evaluate what it brings to the market. Diehard Bentley historians will enthusiastically dispute claims that the Bentayga is Bentley’s very first SUV. They’re completely right. Here’s a quick fun fact: in the early 1990s, the Sultan of Brunei commissioned Bentley to build approximately six examples of a Range Rover-esque 4×4 named Dominator. All six are gathering dust in his mind-blowing collection, and the model has never been seen in public. He’s not the cars and coffee type, apparently. It’s true that the Dominator is the original Bentley SUV, but the Bentayga is the first one designed and produced for motorists who do not preside over a microstate. Under its long hood lives a mighty 6.0-liter W12 engine. Two turbochargers help it generate 600 horsepower between 5,000 and 6,000 rpm and an impressive 664 pound-feet of torque starting at just 1,350 rpm. The 12-cylinder’s power flows to all four wheels via an eight-speed automatic transmission. It can be left in drive, or shifted manually by clicking the steering wheel-mounted paddles. 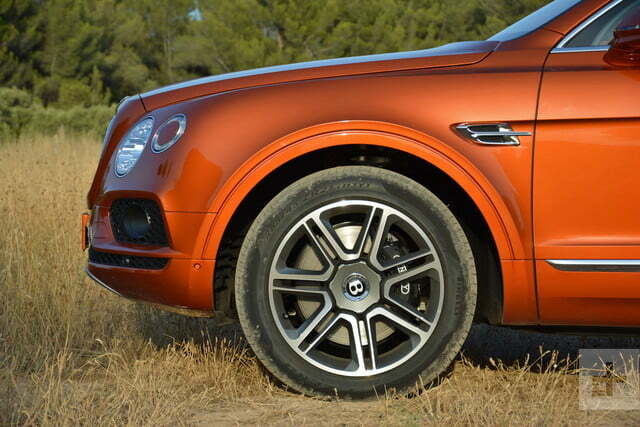 Rivals love to hate the Bentley Bentayga, but it’s the most luxurious SUV money can buy. The off-roader shares enough styling cues with its stablemates to immediately stand out as a member of the Bentley lineup. The tall, upright grille with mesh inserts and the round headlights are reminiscent of the Flying Spur and some of the company’s recent concepts. The same goes with the tail lamps, which have discreet B-shaped inserts and are framed by a thin strip of chrome trim. The design exudes power and confidence without going too far into macho territory. Overall, we find the Bentayga looks better out in the wild than in pictures or under the spotlights on the auto show circuit. We’re evidently not the only ones, and we were surprised by how much attention it drew everywhere we went. On-lookers regularly brandished smartphones and snapped away at our orange luxo-cruiser like they’d just seen Abraham Lincoln blasting down I-80 in a Mazda Miata, top down. 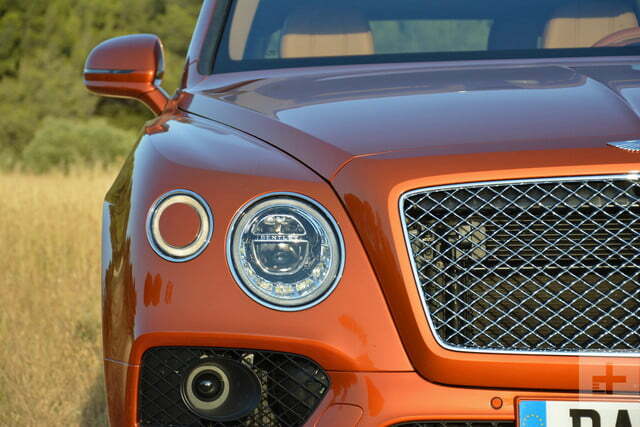 We wonder how many Instagram feeds we ended up on – hashtag Bentayga, of course. 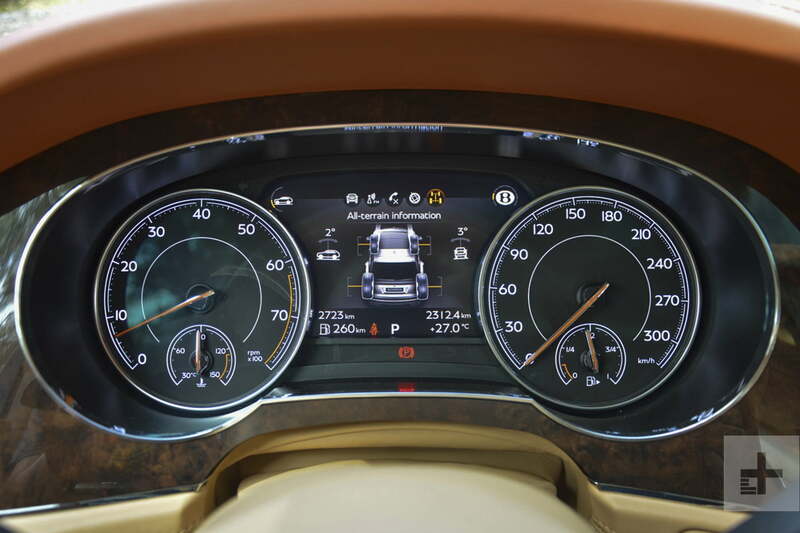 The Bentayga hasn’t changed since its introduction at the 2015 Frankfurt Auto Show. We’ve driven it before and even had it in contention for “best SUV” as part of our 2017 Car Awards. Truth be told, there was more than one category it could’ve competed in. This is a Bentley we’re talking about, so you’re not going to find trim levels in the traditional sense of the term. The Bentayga is a mono-spec model that comes standard with full leather upholstery, an air suspension, five seats, a panoramic sunroof, soft-close doors, a power tailgate, Wi-Fi connectivity, LED lights, and a heated windshield. From there, you can have it any way you want it. The list of options includes 22-inch five-spoke alloy wheels, numerous paint options (including a two-tone look), rear privacy glass, an electronically-retracting tow bar, veneered picnic tables, an upgraded audio system, a hands-free tailgate, and an awesome rear-seat entertainment system. 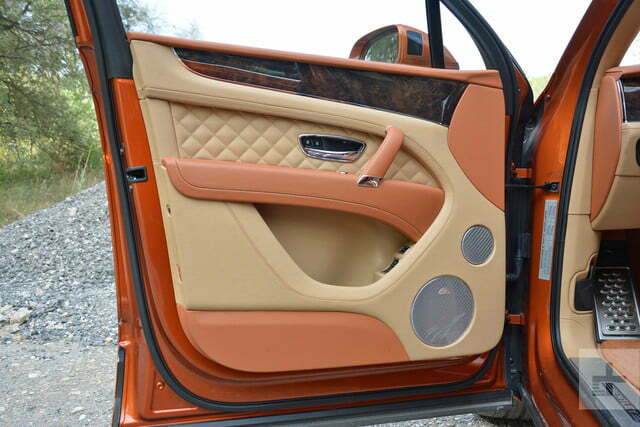 Luxury cars don’t necessarily have to be archaic. 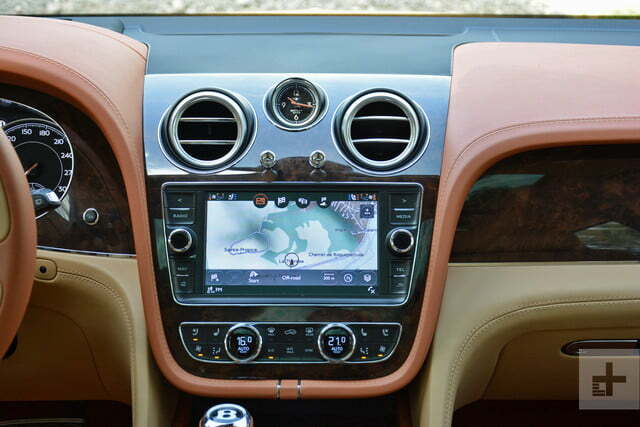 The Bentayga’s infotainment system is displayed on an eight-inch touch screen installed in the middle of the dashboard. The various menus are clearly labeled, and the screen responds to input immediately, so there’s not much of a learning curve involved. If you do manage to get lost, going back to the home screen is as easy as hitting the button with a house on it. Apple CarPlay compatibility comes standard, but the infotainment system is still not compatible with Android Auto. A Bentley representative told us that’s not going to change anytime soon. The adaptive cruise control and lane-keeping assist features worked as advertised, as did the optional night vision tech that our tester came with. It displays footage from an infrared camera on the screen wedged between the analog gauges, and highlights pedestrians in red. We did not get to test out the collision avoidance system; we didn’t want to risk ruining the Bentayga’s proportions. 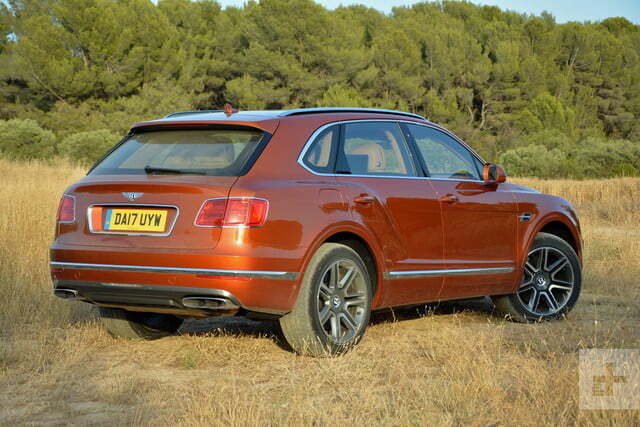 If you classify cars the way you classify whiskey, the Bentayga is not a single malt. It’s a blend, because it is derived from the second generation of the Audi Q7. Bentley has done a thorough job of masking the four-ring brand’s aftertaste, with the notable exception of the buttons on the multi-function steering wheel. 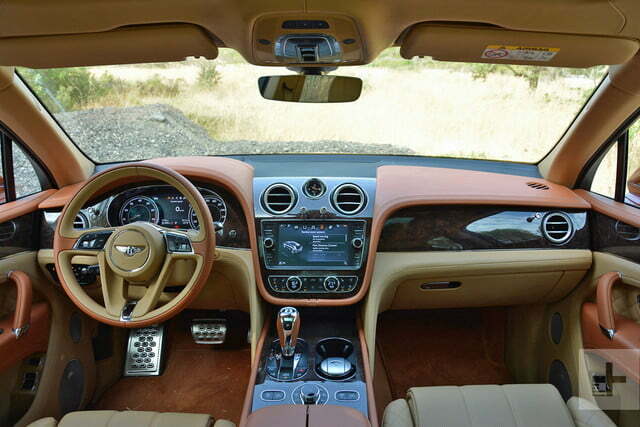 Shut the soft-close doors, settle into any of the Bentayga’s seats, and you’re treated to soft leather upholstery, carpet that’s as thick as it is plush, real chrome accents, and enough timber for an Amish barn-raising. 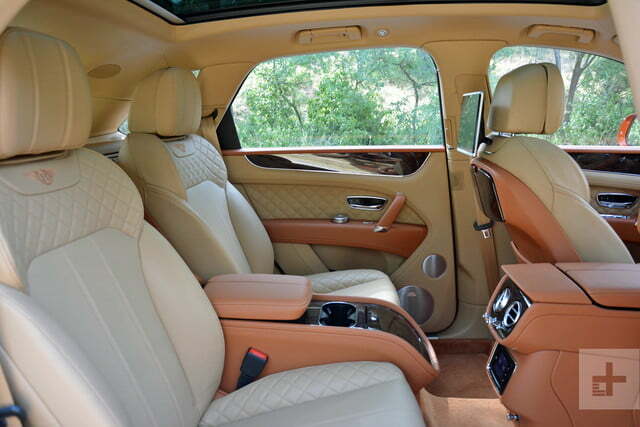 It feels like a million dollars, and it’s timeless; it’s pure Bentley. 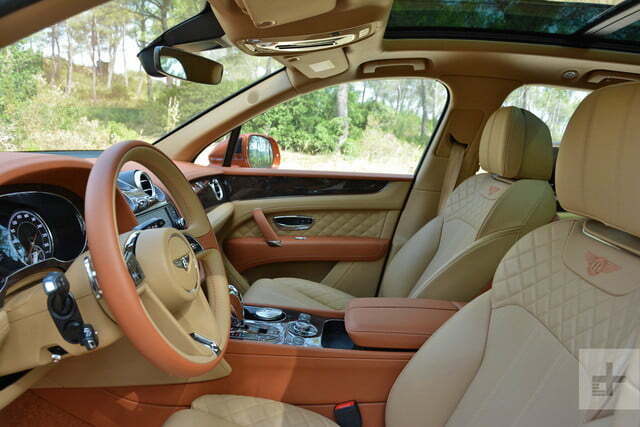 The Bentayga’s interior feels like a million dollars, and it’s timeless; it’s pure Bentley. Even the ashtray is an intricately-designed part that looks like the fuel cap on some of the company’s classic models. The interior is spacious in every direction, and there are plenty of storage compartments for objects like keys and phones. 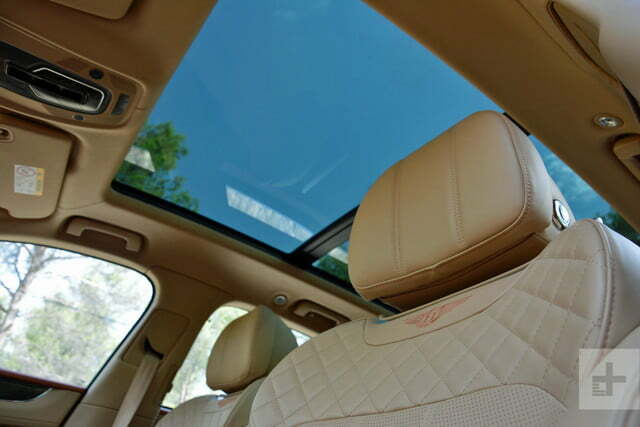 Up front, the seating position is relaxed and comfortable, with a commanding view of the road ahead. Everything is placed within the driver’s reach. 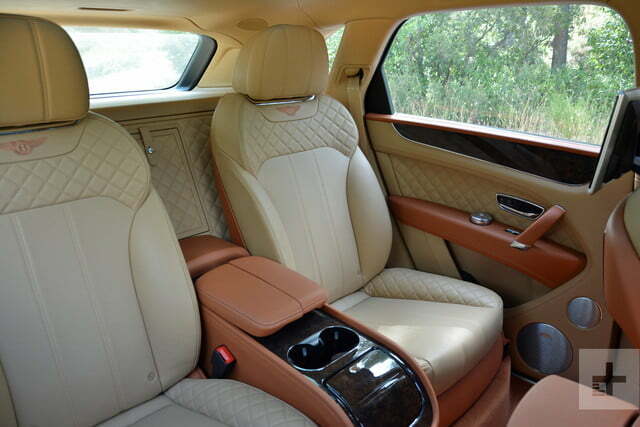 Our tester was outfitted as a four-seater, so the rear-bench was replaced with individual power-adjustable chairs that are heated and ventilated and a full center console. It was also equipped the rear-seat entertainment system, which adds a pair of 10.2-inch Android-based tablets attached to the front seatbacks. 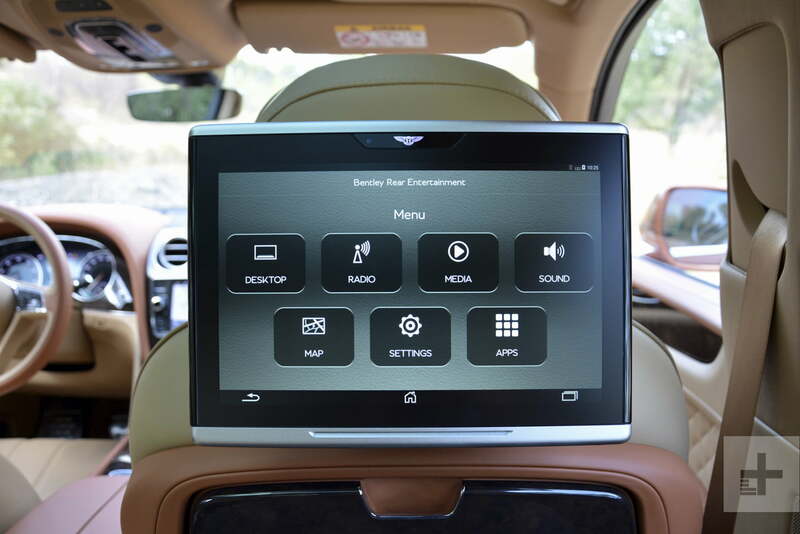 The passengers can access the internet on-the-go via the car’s Wi-Fi connection, check the status of a trip using the navigation system, and choose their own entertainment options. In this configuration, the rear seats are the best ones in the house. 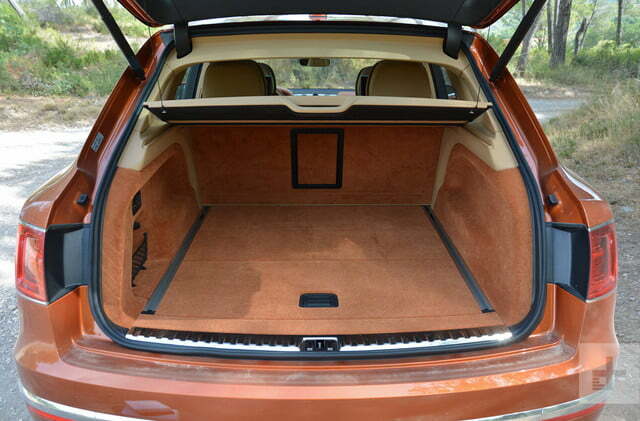 The trade-off is that it’s also in this configuration that the Bentayga offers the least amount of cargo space. The four-seater model offers 15.2 cubic feet of trunk space, while the five-seater model ups that figure to 17.1. To put those statistics into perspective, Land Rover’s Range Rover boasts 32.1 cubes. However you spec it, cargo capacity is not one of the Bentayga’s strongest points. As a consolation prize, Bentley tells us it can tow 7,700 pounds when it’s properly equipped. We called into question the laws of physics after burying our right foot in the throttle. How can a big, 5,300-pound piece of metal move so quickly? Did Bentley install a tank of nitrous and not tell us about it? Its impressive performance chops are made possible by a combination of sheer displacement – six liters is quite large by today’s downsizing-dominated standards – and the boost provided by the turbos after a brief period of lag. We could come up with an endless list of hyperboles to describe the acceleration. The Bentayga feels like it’s powered by a NASA rocket. Going flat-out from a stop makes the outside world look like it is stuck on fast-forward. 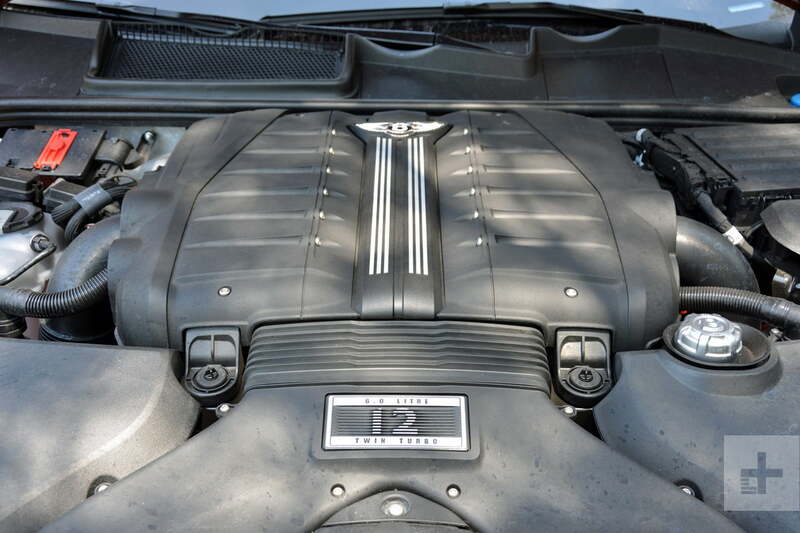 Isn’t that what you’d expect from a 12-cylinder Bentley, though? The surprising part is how smooth and graceful the forward motion is. It performs the benchmark 0 to 60 mph sprint in four seconds flat without tearing up your insides or scaring the bejesus out of you and yours. If you’re a passenger, you can serenely sip a glass of champagne while the six-liter screams its metal heart out one turn of the crankshaft at a time. You can even have a conversation because the engine isn’t very loud. 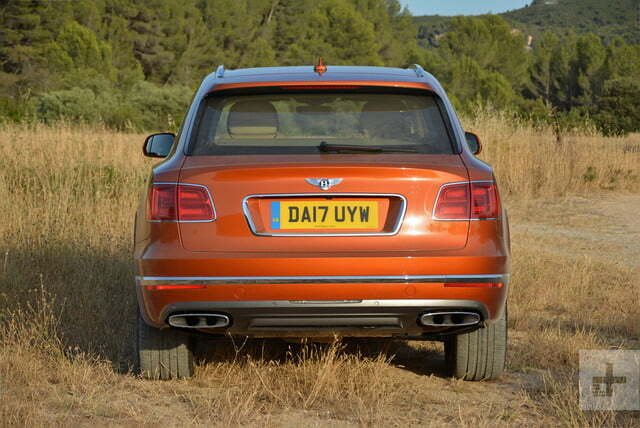 In fact, we certainly wouldn’t mind if Bentley added a few decibels to the exhaust. The Bentayga is almost frustrating to drive at 80 mph because it’s capable of so much more. Over half of the engine’s power reserve remains dormant, unexplored like the most remote parts of the globe. We called into question the laws of physics after burying our right foot in the throttle. We decided not to verify Bentley’s claimed 187-mph top speed, much to the delight of the Gendarmerie that relentlessly patrols the French motorway system. Its limit is simply unreachable unless you’re on a race track, or on the German Autobahn. Instead, we set the adaptive cruise control to the speed limit and serenely hogged the passing lane as we trekked across the sunny south of France. It’s in this environment that the big Bentley feels most at home. It’s a cruiser, not a carver, yet it has another trick up its sleeve. You’d expect a big, top-heavy car like the Bentayga to lean into a corner like a jet fighter, but that’s when electronic wizardry of the highest order comes into action. Equipped with active anti-roll technology fed by a novel 48-volt electrical system, the Bentayga has a split personality—making the ride stiff when it’s on a twisty country road, and comfortable when it’s just wafting down the freeway. These traits are accented in the different driving modes; the ride is firmer in sport mode and noticeably suppler in comfort mode. Body roll is nearly non-existent regardless of which mode you dial in. Importantly, that means you can’t rely on lean to tell how close you are to reaching the limits of adherence. We’ve tested some pretty schizophrenic automatic transmissions over the years; the ZF eight-speed in the newest Alfa Romeo models seems delusional at times, for example. 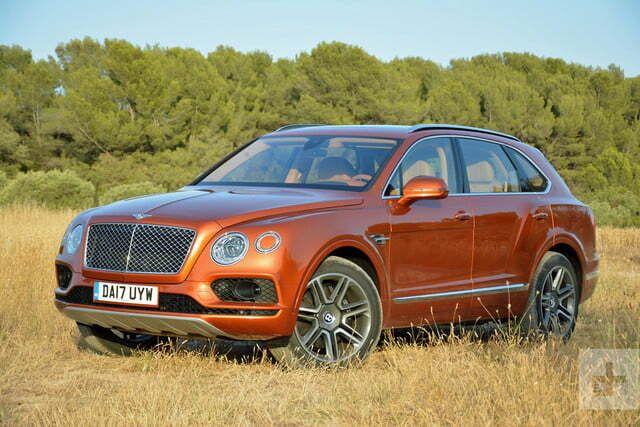 The Bentayga’s is not one of them. 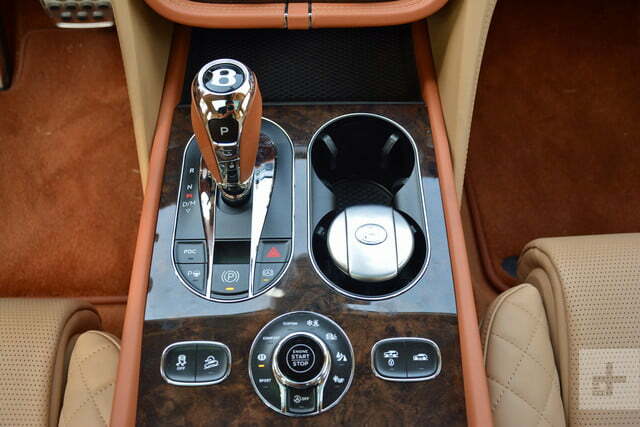 Even in sport mode, we left the eight-speed find its own gears instead of using the paddles. The shifts were crisp and predictable, and it was easy to downshift by pressing the gas pedal down a little bit. Weight-saving aluminum construction and a start/stop system help the Bentayga return acceptable fuel economy, at least considering its size, weight, and power. And by “acceptable,” we mean we averaged about 13.5 mpg over a week’s worth of mixed driving, which is a little bit under the EPA’s 15-mpg rating. The EPA probably didn’t try to verify the manufacturer’s zero-to-60 time, though. A man in a Jeep Wrangler stopped at a light next to us rolled down his window and asked if the Bentayga can go off road. Hell yeah, it can! Whether or not it ever will is a completely different story (but then again, how many 911s have ever seen a track?) but Bentley engineers went to great lengths to ensure it doesn’t just look like an off-roader. In addition to four standard driving modes, the driver can choose from four off-road modes named snow/wet grass, gravel, mud and ruts, and sand, respectively. 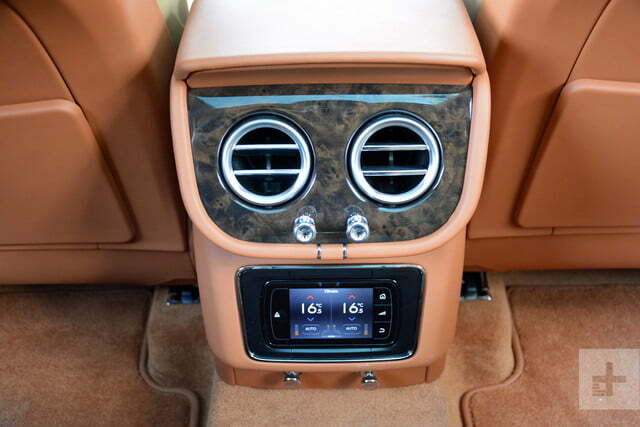 They’re selectable via a knob located on the center console. Two switches right next to the knob raise and lower the air suspension, which comes in handy when you just want to clear an obstacle without adjusting other parameters. There are four different levels to choose from. The 12-cylinder’s massive amount of torque is a real boon when the going gets rough because it makes moving forward an effortless task regardless of what’s under the tires. 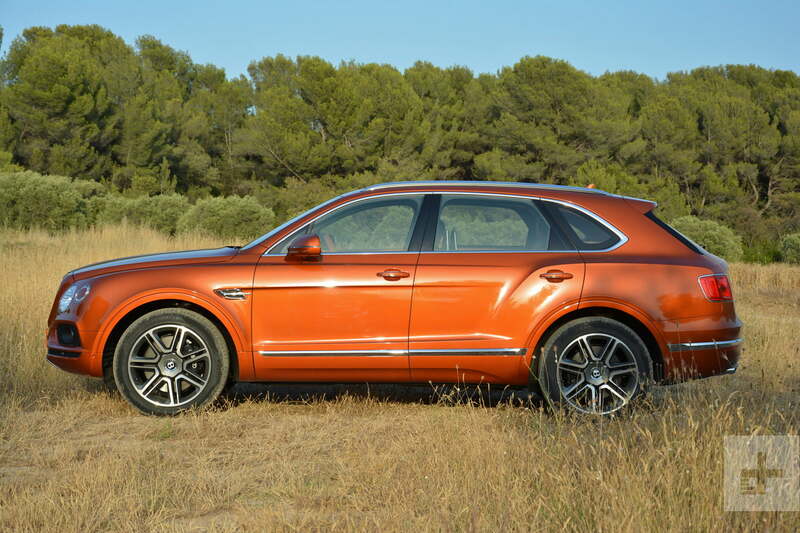 Several tech features also give the Bentayga’s off-road capacity a considerable boost. The screen in the center console can be configured to show important information such as the steering angle and the travel of the suspension, while the 360-degree surround-view camera shows what’s around the car. Driving home with parts of the trail embedded in one of the quarter panels is a real risk in a car this big, so we found these two features invaluable. 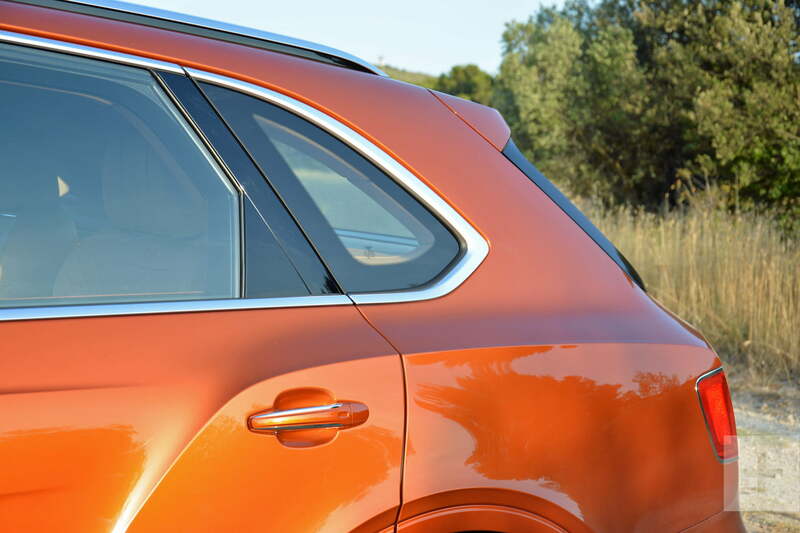 If safety is a priority, rest assured the Bentayga offers the expected assortment of front, side, and curtain airbags as well as traction and stability control systems. There’s a tire pressure monitoring system, a rearview camera with several angle options, and a front-view camera active at low speeds. The National Highway Traffic Safety Administration (NHTSA) and the Insurance Institute for Highway Safety (IIHS) haven’t released a crash test rating for the Bentayga. We’d start with a different color. The orange works well on the Bentayga but it’s not our style. It’s available in a gorgeous dark green that suits it perfectly in our eyes. We’d also plan to take it on a few road trip, so we’d get the factory-fitted hitch to take advantage of the 7,700-pound towing capacity, the four-seater configuration, the veneered picnic tables, and the upgraded sound system. 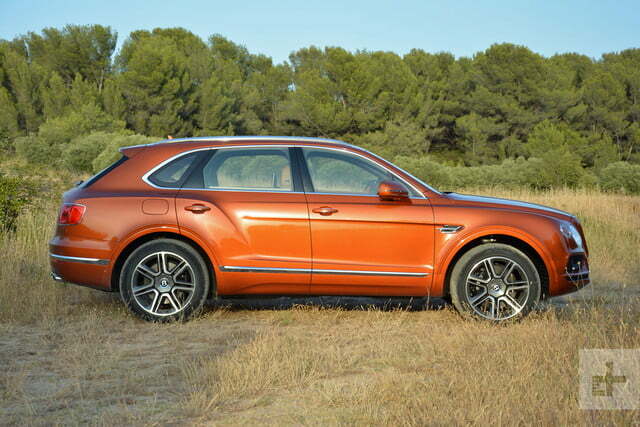 At its launch, the Bentley Bentayga divided more opinions than a glass of 18-year old Laphroaig. The purists called it an unforgivable sacrilege, but its target audience loved it so much that Bentley had to boost production. After spending a week with Bentley’s big 4×4, we side with the latter. Rolls-Royce is busily toiling away on the Cullinan, but right now the Bentley Bentayga has no direct competitors. It’s a class above Land Rover’s Range Rover in terms of luxury, performance, and of course price. 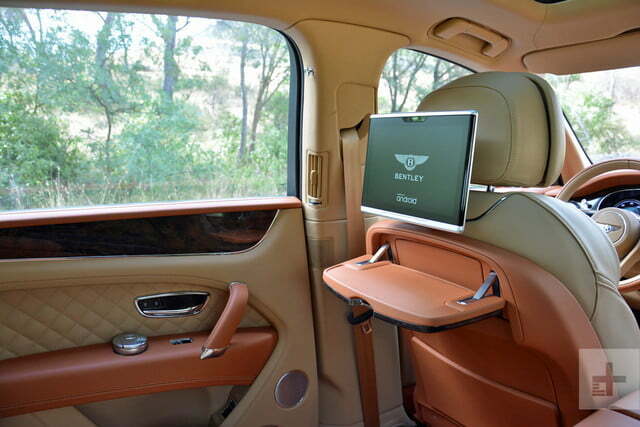 Land Rover may talk about taking down the Bentayga, and for all we know it might even be preparing its offensive, but Bentley’s off-roader is quite simply the most luxurious SUV money can buy. The Bentayga made its global debut in September of 2015, and it went on sale last year. We expect it will get a mid-cycle refresh before the end of the decade, though the visual updates will most likely be more evolutionary than revolutionary – think additional trim pieces and new alloy wheel designs, not a full-on make-over. On the powertrain side, the big news is that Bentley has confirmed a plug-in hybrid model will join the lineup. Still, the W12 flagship caters to a completely different set of buyers, and we predict it will retain its prestige for years to come. If you’re considering a Bentayga, odds are you’ve already got quite the car collection in your garage. 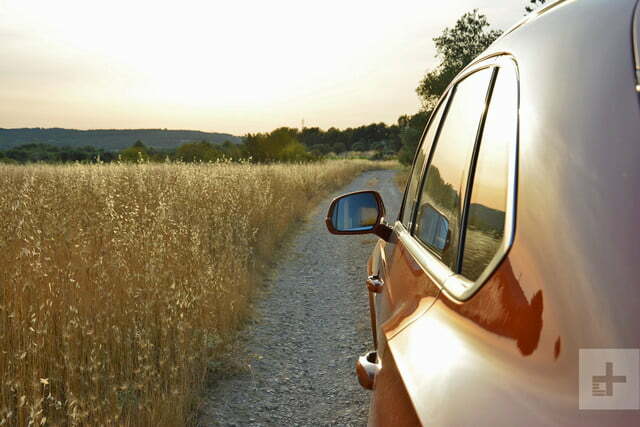 You know what makes a luxury car and what doesn’t; after all, these cars are created with you in mind. Get the Bentayga, and you won’t be disappointed.